Home / Blog / Camino Frances / On St John, witches will flee! On the night of 23rd June and in the early hours of 24th June, many cities and towns along the Camino de Santiago, including Santiago de Compostela, celebrate the official arrival of Summer (have a look at our page on Festivals on the Camino). Across Spain and Portugal, St John celebrations are linked to the Summer solstice and this is a night considered magical – with many interesting traditions and legends associated with it. Sao Joao in Portugal. Picture courtesy of Turismo de Portugal. Not only fire but water and waves also play an important role on this date, and are linked to purification, good luck and also fertility. For example flowers and aromatic herbs such as rosemary, elderfower and rose petals are gathered on the 23rd and left to soak in water overnight; the herb infused water is then used to wash the following morning. St John and this colourful date mixing pagan and religious traditions is without a doubt one of the most magical nights of the year. It is also time for Porto’s biggest festival of the year (on the Portuguese Way to Santiago de Compostela): Festa de São João. After enjoying fireworks, music and the party atmosphere, many people like to welcome the new day and see the sun rise at the city’s riverside (Ribeira) or by the sea in nearby Foz. 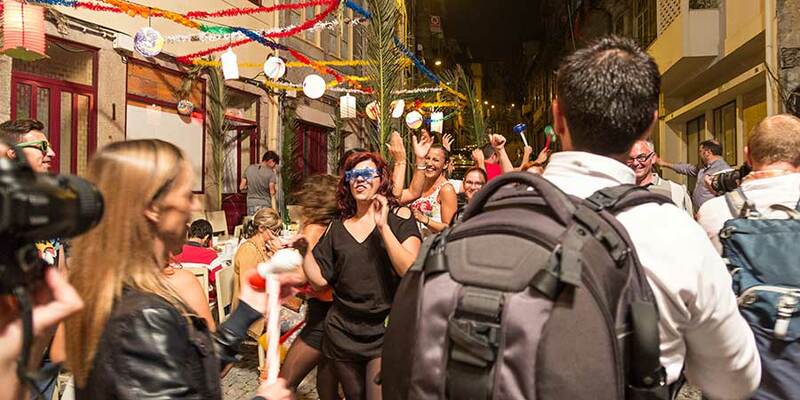 The town of Sarria, on the French Way, and A Coruña on the English Way, also host important St John festivals. Both in Portugal and Galicia, grilled sardines are the most traditional dish for St John and the taste of the beginning of Summer. Check our Camino Festival Calendar for more unique festivals along the way.